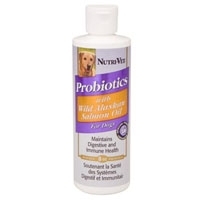 Nutri-Vet Probiotics With Wild Alaskan Salmon Oil 8 oz. Nutri-Vet® PROBIOTICS PLUS WILD ALASKAN SALMON OIL is a unique blend of ingredients formulated to help support healthy gastrointestinal function and promote good health in dogs of all ages — omega-3 essential fatty acids help maintain immune health; probiotics provide a source of live, naturally occurring microorganisms that help balance normal intestinal flora; and digestive enzymes increase nutrient assimilation. 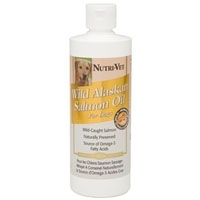 Nutri-Vet Alaskan Salmon Oil 8 oz. "Nutri-Vet® ALASKAN SALMON OIL for dogs provides levels of both omega-3 and -6 essential fatty acids (EFAs) not commonly found in pet foods. 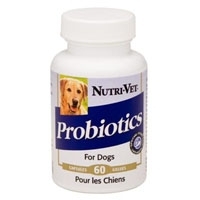 Nutri-Vet® PROBIOTICS FOR DOGS contains a blend of “friendly” bacteria beneficial in maintaining good health by supporting intestinal balance. 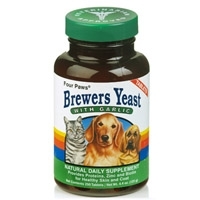 This concentrated source of valuable microorganisms helps maintain a healthy immune system and promotes vitality in canines of all ages. 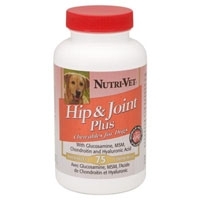 Nutri-Vet® HIP & JOINT Plus easy-to-give liver flavored chewable tablets provide balanced levels of glucosamine, chondroitin, MSM and hyaluronic acid to help maintain healthy canine joint function and connective tissue. 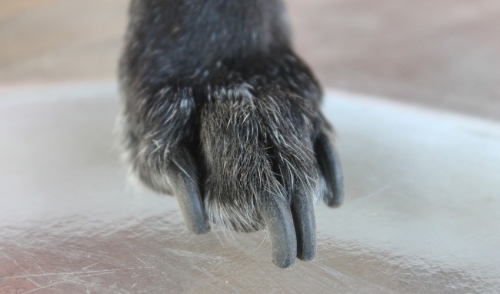 Dogs will love the taste, and owners will love its ease of use. 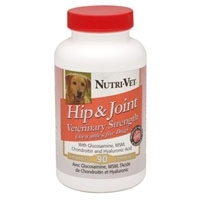 Nutri-Vet® HIP & JOINT VETERINARY STRENGTH easy-to-give liver flavored chewable tablets provide high levels of glucosamine, chondroitin, MSM and hyaluronic acid to help maintain healthy canine joint function and connective tissue. Dogs will love the taste and owners will love its ease of use. 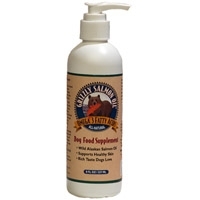 This product is formulated especially for large and elderly dogs with longstanding or severe joint problems. 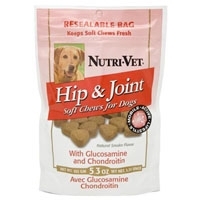 Nutri-Vet Hip & Joint Soft Chew 5.3 oz. 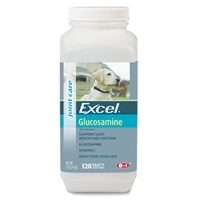 A proprietary blend of glucosamine, chondroitin and vitamin C promotes formation and repair of cartilage in elderly and active smaller dogs. Easy to give soft chews. Each liver flavor chewable contains 500 glucosamine, 100 mg of vitamin C and essential minerals that support healthy joint function in active dogs of all ages. 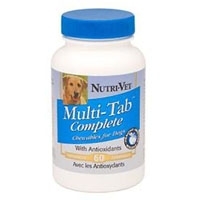 "Nutri-Vet® MULTI-TAB COMPLETE with antioxidants provides a complete spectrum of vitamins and minerals that complement a dog’s normal diet. 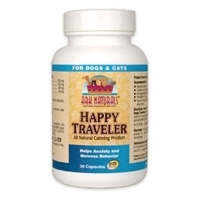 A healthy pet diet contains a balance of Omega-3 (wild fish oil) and Omega-6 (borage oil). These essential fatty acids play a crucial role in supporting skin health, shiny coats, and joints. Ark Naturals Joint Rescue Chewables 90 tabs. 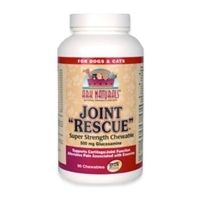 Joint Rescue is an excellent choice for pets with visible morning stiffness, difficulty running and playing as well as stiffness associated with aging. Ark Naturals Joint Rescue Chewables 60 tabs. Ark Naturals combination of glucosamine, chondroitin, herbs, and antioxidants make this joint product the best in its class. 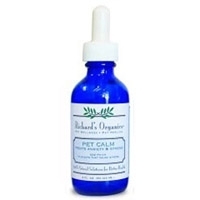 An all natural way to "rescue" your pet from the difficulties some dogs and cats experience due to long walks, jumping on couches, hiking, running, as well as age related immobility. Glucosamine + Ark's blend of comfort producing herbs can help your dog feel better and enjoy being active. Made in the USA. Ark Naturals Gentle Digest 60 Caps. 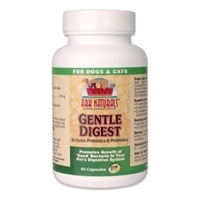 Promotes the growth of beneficial intestinal bacteria. Use for occasional diarrhea, gas, constipation, ear yeast issues. Aids digestion by breaking down food into nutrients that can be readily absorbed. Good for dogs and cats. 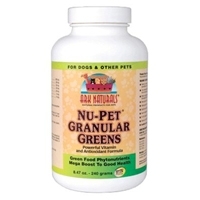 Ark Naturals Nu-Pet Granular Greens 8 oz. NuPet® Granular Greens provides all of the major antioxidant nutrients including vitamins, amino acids, enzymes and minerals vital to your pet’s health. This is important because heating and processing of commercial pet food destroy vitamins, minerals, and antioxidants. Great for dogs and cats, however our NuPet Feline Antioxidant is a better choice for cats. Ark Naturals Nu-Pet Canine Wafers 90 Chewable tabs. Powerful all natural vitamin and antioxidant formula with super green phytonutrients and desiccated liver. 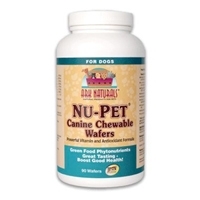 Nu-Pet® Canine Chewable Wafers contain powerful “live” whole food phytonutrients that support your dog’s health with all known enzymes, vitamins, minerals, and trace elements. Great taste, low calorie, made in the USA! Wysong F-Biotic™ cat supplement enhances the nutritional merit of traditionally processed commercial cat foods. F-Biotic™ uses natural food sources to provide additional micronutrients, probiotics and enzymes. 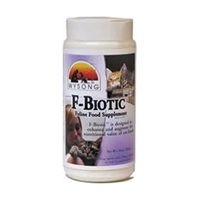 F-Biotic™ cat supplement (with vitamins) is easily implemented - just sprinkle onto your cat's food! 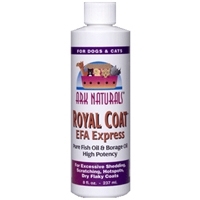 An excellent source of vitamins, minerals and natural proteins to promote healthy coats. Helps control shedding while the garlic formulations are known to be a natural, superb deterrent for fleas. Available with garlic in tablet and powder forms. Take the torture out of car trips, or for that matter, any kind of trip. Our soothing, calming mix gently helps ease the stress and tension from travel, motion and loud noises. Contains Ginger, a common and delicious spice traditionally used to help maintain normal digestion and calm tummy troubles. 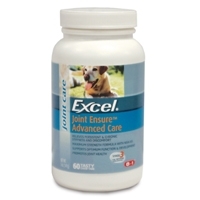 8in1 Excel Joint Ensure Advanced Care 60 Tabs. 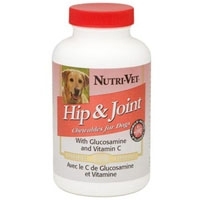 Contains 3 important active ingredients for helping to maintain healthy joints: Glucosamine necessary for joint lubrication, Chondroitin to enhance the formation of cartilage helping to cushion joints, and Vitamin C, an antioxidant important for the formation of collagen needed for bone formation. 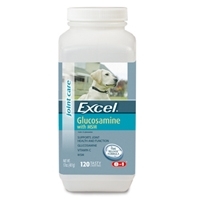 Excel Glucosamine with MSM Time Release Formula helps maintain a healthy and active lifestyle. Unique time release formula provides gradual release of nutrients resulting in balanced supplement absorption. Contains calcium ascorbate, an antioxidant. Use as a daily supplement. Contains 120 chewable tablets.